Petswelcome.com / Articles / Did You Make These 5 New Year’s Resolutions? Did You Make These 5 New Year’s Resolutions? Having a pet means being responsible for another being. It not only means making sure your pet has fresh water and good food, but also that your pet is exercised, entertained, and learns the difference between good and bad behavior. Sometimes it can be difficult to teach a pet what is ok to do and what isn’t ok.
Don’t label your pet – descriptions such as dumb, bad, stubborn, or jealous don’t help solve the behavior. Using those words might create a bigger divide. Instead try to take a step back and get to the root of the problem. It may mean changing routines or removing something that upsets your pet and you. Don’t blame your pet completely – while some pets may have some tough character traits, sometimes it’s also due to how you are trying to train him/her. Remind yourself that no behavior happens in a vacuum but is rather influenced by the environment. Look at the behavior is terms of your pet’s point of view, look to see if there’s something you are doing that might be contributing to the issue. Pay attention – reinforce the good behaviors with praise, treats, and affection. Quickly correct or redirect the bad behaviors and remember to be patient. Always be training – incorporate it to everyday life and know that your pet learns and relearns constantly. Be consistent and look to your own behavior to make sure that you are not confusing your pet. Never take your pet for granted – appreciate your pet. Learn new tricks together and make life enriching and fun for both of you. 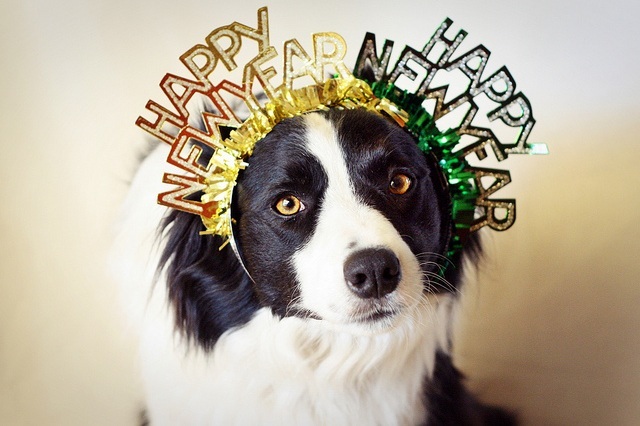 What other resolutions did you make for you and your pet?